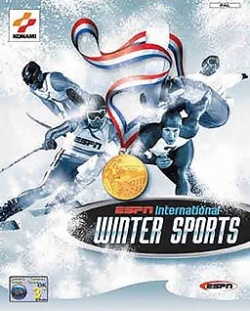 Game description: ESPN International Winter Sports 2002 brings the intensity of winter sports to life with 10 events, including alpine skiing, bobsledding, figure skating and snowboarding. Two-player competitive modes and rich graphics round out this all-inclusive winter sports game that gets the details right down to the spray of the snow and the glimmer of the ice. This page was last edited on 25 December 2016, at 17:28.